Late last year, the Japan Times allowed its readers inside of one of the gigantic-ist fist-de-cuffs in the sciences as they pondered the question – Where did Milwaukee come from? But not just Milwaukee – all of North America – and South America too! And even…Sri Lanka! And that is the question: How did the Continents that we live on get to where they are today? Were they always as they are now? Have they moved? And if so, how did they do it? And why? The Japan Times gives voice to a difference of opinion in the sciences, each representing ancient philosophical points of view. 2. “Panta Rei” – Everything is Flux, (and that is the way of things, and the creative process, and even the Creator, however you name it). The first idea has been the most popular with governments and churches and financial institutions, because their job is generally to take your money, and tell you that it’s good for you that they do so. And in order to do this, they have to tell you that everything is going to be alright, and it’s all under control. The second idea is where reality makes its home. Everything changes. And that idea is…unsettling. And it does not speak easily of well-established anythings, but of a world and a universe which is inventive, expansive, and thinking, changing, creating….and destroying. 1. It was always like this, just as it was made. The current “true and scientific” textbook-approved idea tells us calmly and assuredly that the Earth has always been the same size. The Earth does not grow, nor does it shrink. (This is very important to remember, because it is a “fact”). That is, Africa/Europe and North-South America were once neighbors. More than neighbors…Oh, let’s just tell it like it is – They were living happily together, nous deux…And then….they grew apart. – Reasons for the break-up: “I understand they just wanted to see other people.” “They seemed so happy together!” “It’s such a shame. I heard she was tired of his colonial oppression.” “Can you blame her? Did you ever hear the way he talked! Worse than Mel Gibson!” (please feel free to insert your Africa-America break-up joke here. Prizes will be given at the door, as you head to the parking lot. Remember to tip your waitress, and watch for bears, we’ve had some problems). So, they “drifted apart.” Yes, tens of thousands of miles of deep thick massive continent set sail for parts unknown, over and over again. Seem strange? Well, it is a “fact,” so you are allowed to think it…and must believe that it’s true…But it wasn’t always so. And then they accepted it. But only after the originator of the hypothesis (poor Alfred Wegener) had died a lonely death on expedition in farthest Greenland, taking measurements, doing actual observational field work (if you can believe such a thing), trying to find evidence for his theory. And fifty years was about enough time for everyone to forget that it was the same elite that now claimed his work, who had decades earlier buried his research, before he was in actuality, deceased. What made them change their minds? War! What is it good for? Making new stuff, that’s what. But, remember, the Earth cannot grow, because this is a scientific fact. And so, while they embraced ocean growth whole-heartedly, they also re-wrote the theory. Because if the Earth were believed to be growing….well…It can’t be. Because that would just ruin EVERYTHING! Not only in the earth sciences, but in physics, chemistry – even in religion. If the Earth grows – if planets grow – then…gosh….Everything we think, or have thought about our place in the universe has to be re-examined. The universe grows, is creative, expansive…alive…?? No small thing. And not something anybody in the taxpayer-funded, ego-driven, reductionist sciences really wants to encourage. And so, the Earth does not grow. (And that’s a “fact” that must be defended). 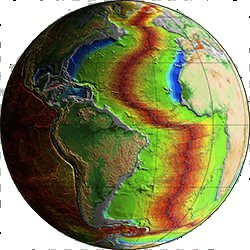 The continents would sit on the ocean’s floor (which is made of miles-thick dense, hard basalt), and this basalt would be EATEN – chewed up, sucked down into the bowels of the Earth – at precisely the same rate as it is created along those 70,000 KM of ocean ridges. Yep, it would be crunched under, masticated, and dropped into the depths of the planet – the mantle . (Where no one can ever check up on it, to see what is really happening. Very flexible data is ‘interpreted’ to fit the current model – and when it doesn’t fit with the model? Well, you’ll see). – Super-flexy conveyor belt of scientific truth and factuality! 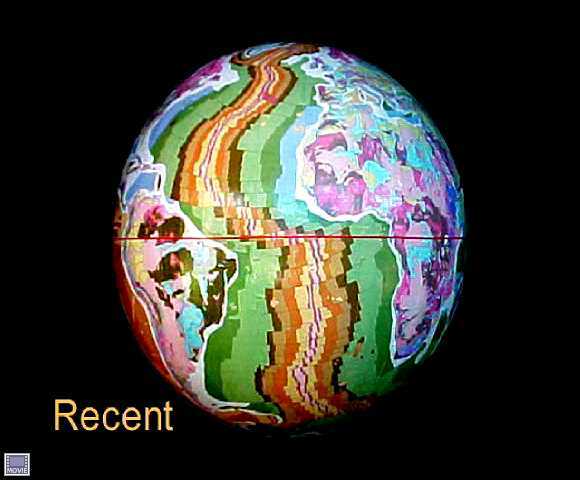 (Actual planet may not resemble model. See your local agent for details). 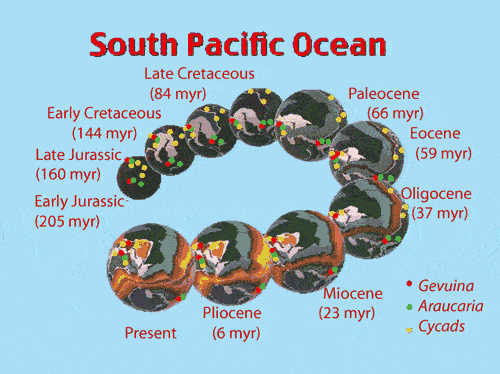 In fact, these “subduction zones” have to be three times more destructive than the Earth is creative. 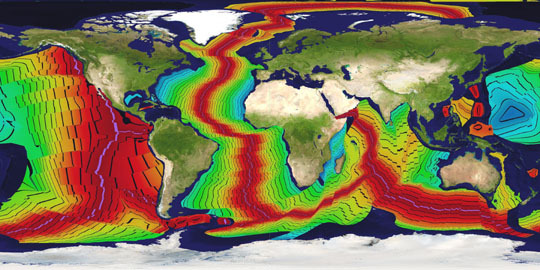 That is, they must eat the planet’s 10 to 40 mile thick plates of ocean-wide rock three times faster than the ocean ridges can make them – because there are three times more ocean ridges than there are subduction zones. Go figure! That’s some craaazy planet! “Munch Munch Munch!! Feed me ROCK!” – Mainstream Factual Earth Science Theory. Hey, that sounds reasonable, doesn’t it? (Does it matter that other planets do seem to grow?) Nope! Because Earth is special. Just like the Pope told Galileo. Special! And that’s science – true, factual, honest, and never arrogant. Never! But, oh, sadness, sadness! Malheureusement, things have never gone well for this model, and most of these zones don’t really ‘subduct’ anymore. What happened? Well, the model has changed, you see, because the model wasn’t working out. It wasn’t making accurate predictions, so they had to…change it. They couldn’t get RID of it! Don’t be absurd! Because the Earth cannot change size! Which is the most important thing, after all. 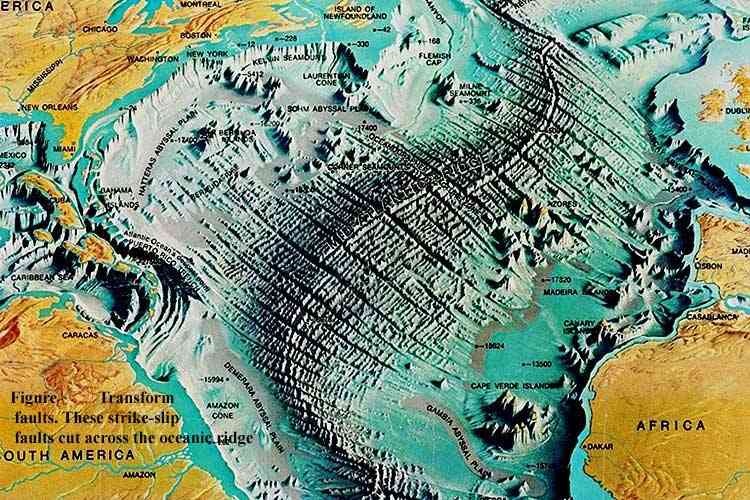 So here’s how it goes now: They’ve added something called “Flat Subduction,” which means that the big plates of Earth’s crust aren’t really “eaten” anymore, they just sort of ‘slide under’ the continents. 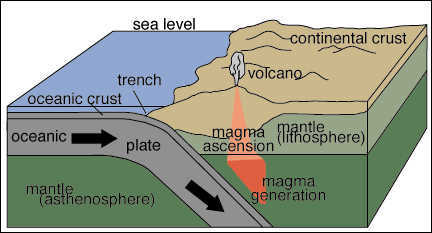 “A resurgence in this magmatism resulted from more changes in the subduction geometry; in one model, the down going Farallon plate began to steepen again at ~40 Ma, allowing for more decompression melting and magmatism under the western United States; and in another model, only part of the plate steepens (like ripping a part of a sheet of paper in half, keeping one half horizontal and pulling the other down). – Flexi-Tearable Split Paper Rubber Rox – It’s Science! Ever see stone do that? (Me neither). But, it’s a “factual” theory, not “pseudo-science.” Can you tell the difference? I’m going to take a walk later, and see if I can rip the road gently into two long strips, because I’d like one side of the road to go more steeply downhill, as it would make for a more exciting jaunt. It’s a scientifically factual possibility, after all. And so, it remains a “proven fact” that the Earth has always been the same size, and that the continents with their 400 to 600 kilometer deep solid granite roots have somehow split up and gotten back together, over and over again through inferred Earth history. They move, they shuck, they split, they jive, they squirm, they squiggle, they disappear and reappear. Hey, it’s a fact. And science doesn’t lie. (Except when it does…which is whenever it has to protect itself from criticism and bolster a failing model…which is ever-so-slightly very very really super very often. Can I say “always?” Yes. I think I can safely say that today’s science “always” lies. But, it’s in our best interests, I’m really very slightly certain). Here’s the alternative: The Continents have, in fact, stayed where they are, embedded with their 400 to 600 kilometer deep roots into the Earth, with the Earth expanding – growing – from underneath. Here’s how the artist and researcher Neal Adams presents it [Click]. And here’s an academic version [Click] by James Maxlow – a student of Sam Carey, who pioneered this field. Oh..right. Sam Warren Carey. Sam Carey kicked the mainstream establishment’s derriere in the 50’s and 60’s to re-examine their burial of poor Alfred Wegener’s hypothesis. He’s the reason we have this theory. 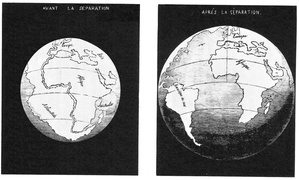 But he added: The continents fit together because the planet has Grown. And the mainstream…right. Buried him. So, good for the Japan Times, for being out of the reach, for a moment, of the Papal-Scientistic Elite, who do everything they can to kill free intellectual discourse and examination of today’s ruling theories. “Case in point – three articles by reporter Jeff Ogrisseg in The Japan Times about the pseudoscientific notion that the earth is growing. I understand that The Japan Times generally has a good reputation as a serious news outlet, so that lends a high profile to the nonsense Ogrisseg is spreading. I don’t expect science journalists to be experts – just to have a working knowledge of how science functions, and some idea how to figure out which ideas have merit and which are fringe. Want to meet the scientific elite? You can tell them by their wet diapers. So, go read the articles by Jeff Ogrisseg at the Japan Times. They are very good, fair, and honest. They are a nice introduction to the controversy, to Expanding Earth theory, and to some – and far from all – of the failings of plate tectonics/subduction theory. The writer is open-minded, curious, and critical, and in today’s academic and news climate, that qualifies as being something else – Brave. And so, I’ve written a friendly…oh, maybe not so friendly note to the manufacturers of “fact” at Skeptic. And so can you, if they’ll post what you write. They haven’t posted mine! The popular 10-minute Neal Adams video that’s been on YouTube started a quest that took up more than 9 months of my life–six months basically trying to poke holes in it, and three months trying to explain it for a newspaper audience. I wish I had known Liam at the time I was writing my articles; They would have benefited from a seriously sharper wit than mine. Great articles at the Japan Times! Great work. Thanks for your trouble in researching and talking about the farce of mainstream subduction theory. That’s the mainstream’s view – and it is unsettling. It’s a pretty meaningless, hopeless worldview, and I’m not surprised that it turns people off. I don’t think that space is empty, however – I think it’s an aether field of electrified plasma – (because that’s what it is). Space courses with charged particles, and is not the ‘big hollow empty’ that Einstein predicted. It courses and flows with energy, with highly-charged and also energy deficient particles, like neutrinos. Some researchers like Wal Thornhill posit that low-energy, close to no-mass particles can be re-energized by a shot of radiation – gamma rays. And so the idea of an expanding Earth, in my view, does not require the creation of matter – only the addition of energy – and increased energy translates to increased mass. And if all that’s a little wonky, I understand. The point is, we shouldn’t be afraid to take apart a mainstream theory to see if it works. And in taking apart the standard model of ‘cold slab pull,’ ‘hot slab push’ tectonics – well…. Go read about it, is what I’d say to anyone with questions. See if it’s self-contradicting. See if it makes sense. If it even has to. Or if it makes strong statements, but no accurate predictions. See if thousands and thousands of miles of ocean floor, heavy and cold, can be ‘pushed’ from a ridge, a couple few millimeters per year, perhaps, all the way across its expanse, so that five, six, ten thousand miles away, somehow, the other end of that slab decides to dive straight down into the Earth’s center. Does that sound realistic? Wouldn’t the ocean floor just absorb that push, and break up or buckle a bit? It surely would, and that’s why the mainstream has abandoned that model. So, what’s in its place? They claim that the cold far end, somehow, on its own, decides to dive straight down into the mantle – because it’s cold and heavy. “Slab pull” is what they call it. And that is supposed to….pull…the entire ocean floor along? The ocean floor, dense, brittle rock, doesn’t just crack or break up into rubble? Well, it does, and so, to expand on a note by Don Findlay ( http://users.indigo.net.au/don/index.html ), the idea of slab pull is like saying you could pull a bed of gravel by taking a handful of it, and throwing it over your shoulder. Or, like saying you can “pull” a beach along by kicking some sand at one end into the water. Frankly, it’s beyond stupid. And that’s a lot of tax money going down the subduction hole. But ‘flat-slab subduction’ isn’t subduction at all. It’s…leaning. 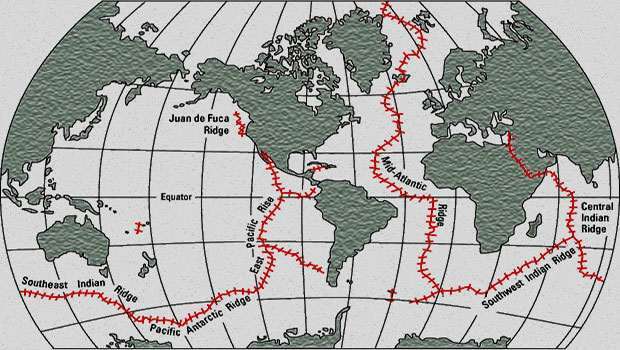 The continental shelf ‘leans’ over the ocean floor. I’d like to give credit here to Don Findlay, again, who is the only fellow I’ve seen to promote the understanding that the world – ready? The world SPINS – and that torsion – spin – affects over eons the displacement of continental rock. To the mainstream model of the Earth, it is IRRELEVANT that the Earth turns, spins, at high velocity. What kind of mechanical theory is it that ignores MECHANICS??? Yeah. Good articles. Good to pierce that veil. Subduction theory is…really really really awful. Deeply broken, hollow, contradicted. And it needs a flush. More than an update, I think subduction needs to be…subducted. I think that’s an awfully frightening proposition for the mainstream, which has made its bed for 50 years in the ‘bendy rock drifty continent’ zone. Well, screw ’em. Science is not a religion, and we shouldn’t worship and fear it, and call that ‘respect.’ Here’s to looking for better answers. (“Disgrace to journalism”?.) It’s how it’s done. It’s part of the degradation ritual. “have a little fun”? Just pass him over here… ..Or to Florian Nachon, who stopped that thread (‘Skeptikblog’) cold in its tracks. I tried to sign on with a reply, but my registration got blocked as being “behind a proxy” Not sure exactly what that means for a regular ISP. Didn’t reply when I asked for clarification either. Is this what happens when one is sceptical of sceptics? The nonsense of Plate Tectonics is apparent to anyone. Teachers must have a hard time in the classroom, Lecturers in Uni less so (students have important exams to pass and are not going to be controversial). People who regard themselves as knowledgable in the field know perfectly well the inconsistencies. The bugbear is consensus, because contrary to public view, the science is not the issue. Well, it is for them (public), but not for scientists of the main stream. It’s getting published and having a career. The science is important, sure, but it’s the vehicle only. The public of course should be extremely concerned. On the ABC here (australia) science Show, Robyn Williams was interviewing Craig Venter recently, well known in his field , who reckoned governments waste over 90% of the public money in research. Considering that is the nation’s investment in its future that’s a terrible indictment. I’m not quite sure how the public see it, when somebody blows the whistle on one of their sacred cows. Mostly they too seem to try to shoot the messenger. All power to Neal Adams for popularising the new paradigm with his videos, but look at the flack he gets. The geological facts will be the crunch of course but when the fallacies of Plate Tectonics are pointed out, the public, who know nothing (much) about them fall silent because understandably they feel their deficiency. ‘Regular’ geologists refuse to engage because they understand the geological issues and see no mileage in debating what they see as theory. Theory is correct for Plate Tectonics, but Earth Exapansion claims more credit as an observation, because it is founded more critically on the geology. Those more in control of the existing paradigm are ‘guardians of the gate’ who refuse to let stuff pass. Science journals are the pivots to change, but will only do so if there are enough scientists willing to publish articles in the first place(first in the fringe journals). Scientists themselves have to be careful, because they find it difficult to divorce personal interest (ease of publication) from the science. What is at issue here is not so much the science, but the *integrity* of science. The global warming + lobby foundered not on the science (they occupied the strong mainstream) but on the leaked emails that blew the whistle (by their own wind), which has given a tremendous fillip to the AGW-ve side. Plate Tectonics founders, only partly on the science (because they can keep shifting goalposts around and they have the public goodwill, but mostly on its own Monolithic Consensus, and a glaring absence of will to falsify on grounds of inconsistency (Falsification the essence of science). There is a huge gulf between the ethics of science expressed in scepticism, and a monolithic consensus, based on goalposts which keep moving. The public should be very, very, very concerned on this one, not on account of the science (who really cares if the Earth is getting bigger or not), but in the waste of money and in the morality of Big Science which refuses to apply the fundamentals : falsification. Good on you for raising this issue. It’s a highly important one. And just beginning, after all. The old clichés like ‘buying a pig in poke’, ‘don’t let the cat out of the bag’, and ’empty sack of lies’ all have their roots in the same old con. It went something like this: At an old country fair, a con artist would approach a likely looking mark to sell him a piglet in a ‘poke’ bag. But it’s not really a pig in the bag; it’s a cat. The cat wiggles, and squirms, just like a little pig when you poke him through the bag. And as long as the bag stays closed, the con works just fine. But as soon as the bag is opened, the cat escapes. And the victim is left holding nothing but an empty sack of lies. The Earth Sciences are founded on the unquestioned 19th century assumptions of Sir Charles Lyell. Namely the assumptions of gradual, uniform, geologic change. And the foundation principle that ‘the present is the key to understanding the past’. Churches, governments, and big institutions, loved it. They bought it like a pig in a poke. And they bought with generous funding packages. And with rules that shut the door to any publication, or consideration, of sudden catastrophic events, as a driving force in the geo-morphology of this world for more than 150 years. That’s a cruelly long time time to leave the poor kitty in a bag. But the questions of just what the hell happened around 13,000 years ago that caused the extinctions of the mega fauna in North America, the disappearance of the Clovis culture, and a return to Ice age conditions that lasted more than a thousand years, has caused us to take a closer look, and I’m afraid we’ve let the cat out of the bag. There are whole libraries of data that leave no room for doubt that the most violent, and deadly, natural disaster in 65 million years happened only a few thousand years ago. And it has become abundantly clear that there is nothing in the short period of time we call ‘written history’ that presents any clue of the level of almost inconceivable catastrophic violence which has happened in Geologically recent, human times. The Earth sciences are founded on a naively mistaken, yet unquestioned, 19th century assumption. We are clearly on the cusp of a major paradigm shift in the Earth Sciences as far reaching as the realization that the world isn’t flat. But, while standard uniformitarian geology may appear to be a dead horse walking, any new catastrophic model for the geomorphology of the surface terrains of this world is incomplete without a certain gradual’steady state’ component. Gradualism works pretty good as long as nothing sudden happens. And since I live near the San Andreas fault,in California I haven’t had a real reason to question Plate Tectonics… Until now. You make a compelling case Liam. I look forward to reading more of this idea. Keywords: Gradualism, Sir Charles Lyell, Comet, Catastrophism, Kitten, and Pig-in-a-Poke! I’ll be looking up your blog and considering these big picture topics – Comets!! And feel free to put up any links to essential reading on your site, or that your recommend on the topic. That one should be considered required reading for this subject. There is a lot of stuff there that’s supportive. Some negative. The debate goes back, and forth. And the fur has only just begun to fly in Academia. But the most single most important data in all of it is the nano diamonds. They are important for the fact that the combined conditions of extreme atmospheric pressure, intense heat, and low oxygen, required for their formation can only be found in an explosive ET impact event; never in a terrestrial oxygen breathing, carbon burning, fire; no matter how big the fire, or how hot. Those tiny little sparklies can’t form by any terrestrial process. And they are found in overwhelming abundance in the YD boundary layer at locations all across the continent. Only in the YDB, not above it, or below it. Firestone, and friends were able to determine that something very powerful, and very different, had colided with the Earth. But they could only guess what it could be. That one should also be required reading. When we connect the dots, we see that the Younger Dryas impacts, and the impacts of the giant Taurid Progenitor, were one, and the same event. And it was the most violent, and deadly natural disaster in 65 million years. When you can describe a beast, you can predict what its footprints should look like. Victor Clube, and Bill Napier first described the nature of the beast and give it a name in the 80s, with their book “The Cosmic Serpent”. Firestone, and friends were the first to identify some of its handywork, and determine that the violence those blast produced materials described was extra terrestrial in origin. I’m just someone that stumbled onto the beasts footprints, a couple of years ago, and connected the two. I’ve put most of what I’ve found online in two places. 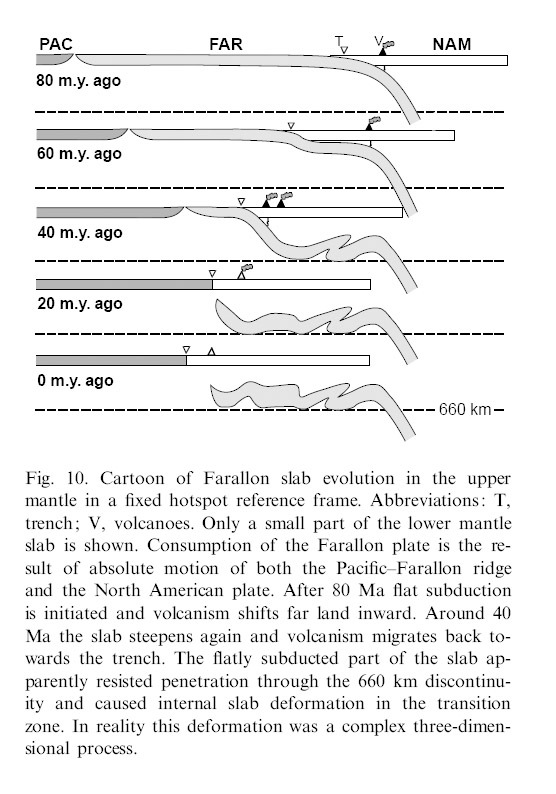 Subduction is like hammering a wooden nail into a cannonball…. If we, for argument’s sake, accept that decoupling and horizontal movement is, however, possible, the following question is raised: How is it possible for a lithospheric plate even to begin to gravitationally ‘‘sink’’ into the mantle at all, due to a marginal density difference gradient? This would require that the plate be metaphorically as hard as a nutshell and dense as lead, and for the mantle to be softer than butter. The actual physical data from seismic wave propagation distinctly indicate that both materials have approximately the same mechanical properties, namely, both are solid, of similar density, stiffly rigid and basically, mechanically unyielding materials, at the scales involved in geotectonics. The viscosity and rigidity of the crust and the mantle is higher than 1020 Pascal seconds and 1010 Pa.s., respectively. These values materially approximate well only with plastic solids; furthermore, these properties of mechanical stiffness and decreasing deform- ability are observed to increase with depth, i.e., the material becomes even more rigid and harder to mechanically deform as depth in the mantle increases. The deformational introduction of one solid into and through another solid, as per alleged subduction settings, cannot occur unless the energy required to overcome the tremendously strong net inter-atomic crystalline bonding forces which hold the rock’s atomic solid-state matrix together is somehow directly provided, when and where it is needed, in time and space. For example, the electrostatic attractive force between an electron and a proton is 1039 times stronger than their gravitational attraction. That is because gravity only effectively dominates energy processes on the larger cosmic scale, i.e., 1025 m, while the much more concentrated short-range electromagnetic force overwhelmingly dominates and is effective only at a particle’s quantum electro-dynamic interaction scale of about 10 to the power of -14 m distance between quantum particles. It is not physically possible for a nail or a bullet projectile to gravitationally sink into the interwoven bonded cellulose matrix of a piece of wood, simply because it is denser than the wood and also has a small sectional area. The scale of the nail is far too small for gravity to make a difference, even after a very long time of applied gravitational force. Only if the nail receives a sudden concentrated overwhelming energy impulse, a ‘‘hammer blow’’, can penetration occur. More realistically, the appropriate and credible physical metaphor of subduction would be of a wooden nail being projected very slowly into a cannon ball. This is, of course impossible, even over infinite time; but even if the wooden nail were to suddenly receive such a hammer blow, required to project it into the steel sphere, the energy impulse gradient itself would simply incandescently disintegrate the wooden nail at the surface. The steel sphere may oscillate minutely, but otherwise would not be penetrated or deformed by the shattered nail.